Jill and Aj Anniversary Magazine Feature. Some couples choose to celebrate milestone anniversaries with special occasions and experiences. After being together over 10 years, Jill and AJ took part in an anniversary shoot to showcase their love with a side of laughter. 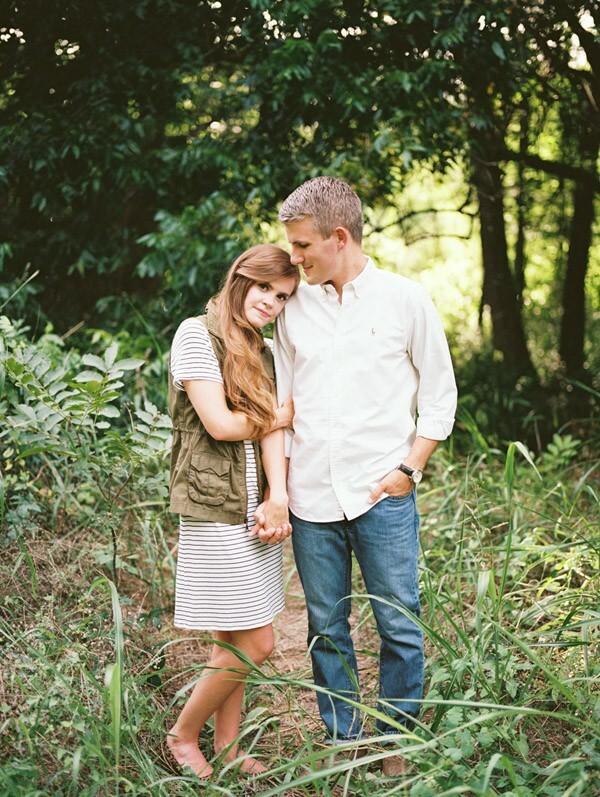 This Texas twosome love exploring Austin, Texas, and their adventuresome spirit can be seen in this natural, woodland location. 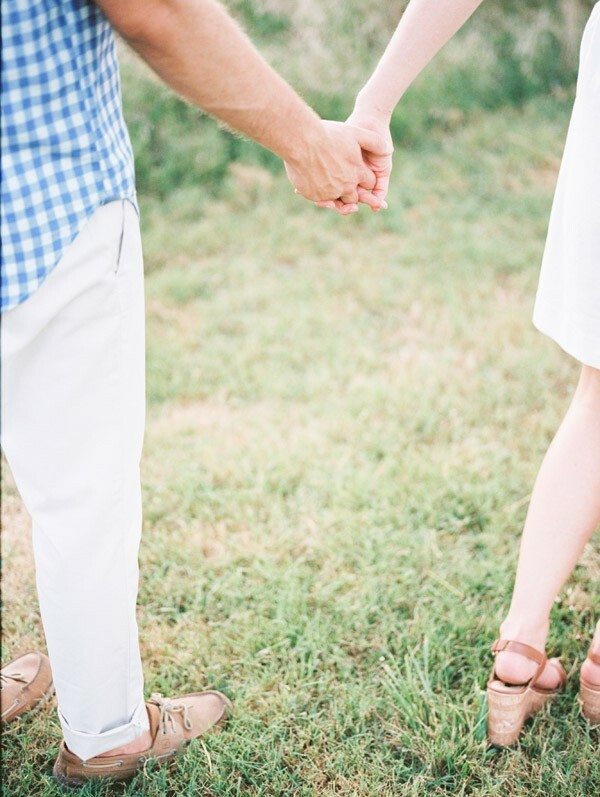 In an open field, a denim-clad AJ grabs hands with the red-haired beauty, Jill. They look casual and comfortable as they stroll the quiet path. Featured in Trendy Bride's Winter/Spring 2015 issue.